Denny's: "Solo: A Star Wars Story"
To help Denny’s create something truly out of this world for its collaboration with Lucasfilm for the promotional campaign for “Solo: A Star Wars Story”, we worked to create a fully-integrated campaign that would ring true to the film and the legions of Star Wars fans everywhere. That included the production of a national television and digital spot set inside the actual Star Wars universe from the film using real characters, including Chewbacca, and actors from “Solo: A Star Wars Story”. 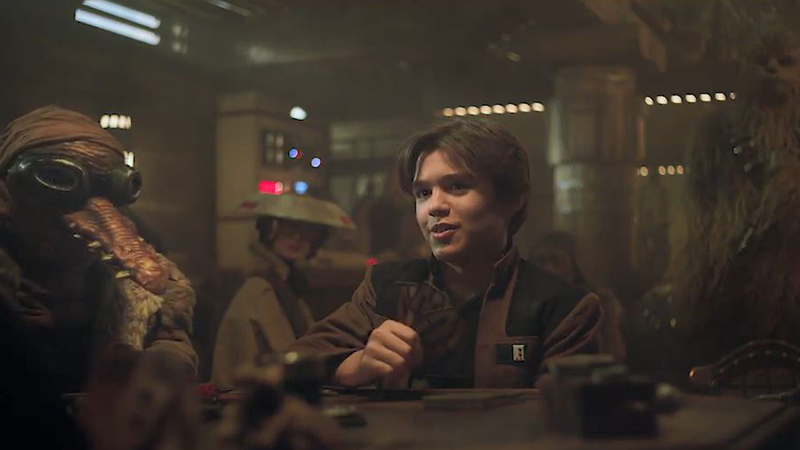 From the props to the costumes and characters, even the actual Star Wars set in London, everything in Denny’s spot for the campaign perfectly captured the unique look and feel of the Star Wars franchise, but in a way that was unique to Denny’s. The campaign was also integrated throughout all of Denny’s communications and marketing channels, including social media, menus and merchandise, field marketing, the Denny’s website and mobile app, and so much more.